1. These drugs may reduce ability to handle potentially dangerous equipment, such as automobiles and other machinery. 2. 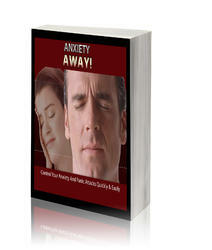 Avoid alcohol while taking anti-anxiety agents. Alcohol potentiates the depressant effects of both the alcohol and the medication. 3. Do not stop taking drug suddenly. Any sudden withdrawal after prolonged therapy or after excessive use may cause a recurrence of the preexisting symptoms of anxiety. It may also cause a withdrawal syndrome, manifested by increased anxiety, anorexia, insomnia, vomit ing, ataxia, muscle twitching, confusion, and hallucinations. Some clients may develop seizures and convulsions. 4. These drugs are generally for short-term therapy; follow-up is imperative to evaluate response and the need for continued therapy. 6. Avoid alcohol-containing mouth rinses and beverages. 8. Dry mouth can be treated with tart, sugarless gum or candy, water, sugar-free beverages or with saliva substitutes if dry mouth persists.